As a depository participant (DP), NIBL Ace Capital is the intermediary between the depository system (CDS and Clearing Ltd.) and our clients. Our individual clients enrolled in the depository participant services will have a separate account and be entitled as the beneficial owner (BO) of that account. Our services offer a secure, convenient and paperless way to keep track of our client investments in shares and other security instruments over time, without the hassle of handling paper based transcripts. NIBL Ace Capital has started its online Demat services as of 16th June 2015. NIBL Ace Capital is the first Depository Participant that lets you check your Demat account online. Now you can view your holdings and your statement from the comfort of your home and also print your statement anytime. The online demat service facilitates you to apply IPO(Initial Public Offering). It provides the required information regarding all the right share issues. You can even view the total worth of your shares you hold in your demat account. If you have your Demat account with us please contact NIBL Ace Capital Ltd. or branches of Nepal Investment Bank Ltd. to get your login details. Please stay connected and benefit from us. Frequently Asked questions(FAQs) on mutual funds available here. What kind of company is CDS and Clearing Ltd. (CDSC)? capital of CDSC is NRs. 500 million and NRs. 300 million respectively. What are the services provided by CDSC? Who are the Parties involved with CDSC? 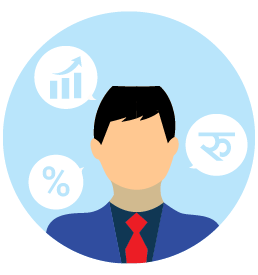 What is the purpose of opening a demat account? In case of individual, please provide following documents if you wish to add nominee in your DeMat account. 1 passport size photo of nominee. To know more about Depository Participant, please fill in this form or call us at following numbers.